She ran in places around the world that face water shortages. Could nuclear fusion solve our energy problems? Last fall, Australian Mina Guli set out to run 100 marathons in 100 days. She wanted to make headlines – but not for herself. She was trying to get the word out about water scarcity – an issue growing worse with climate change. During her recent campaign, she ran – not in organized races, but on her own – in places such as China, South Africa, and Jordan that face water shortages. She tweeted and blogged about the people she met and the stories they shared. 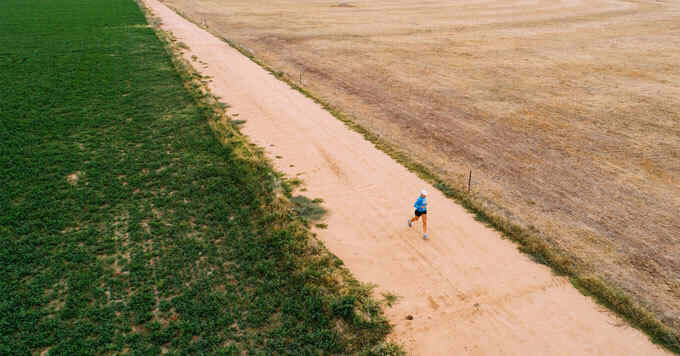 A stress fracture forced Guli to stop running after 62 marathons, but her followers took over – running in their home countries, logging miles on social media, and posting about water. Reporting credit: Sarah Kennedy/ChavoBart Digital Media. Please sign up for a weekly e-mail of new climate stories. You can opt out any time and we'll never share your information with a third party.